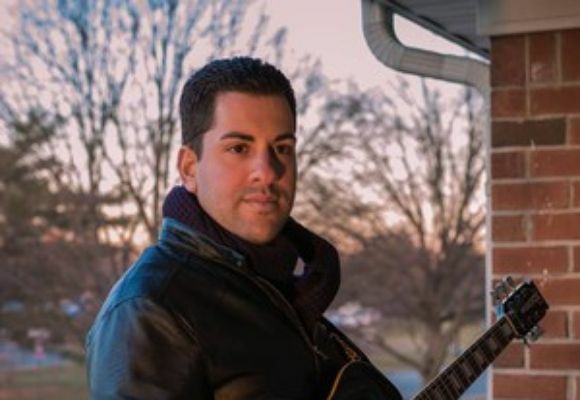 Abe Ovadia has quickly emerged as one of the preeminent guitarists on the New York music scene, and as Musicvox Guitars describes, he is a "Jazz phenom, one of the most innovative guitarists of our time." Since his New York City arrival in 2009, as both as guitarist and composer, Abe has become an essential part of the city's jazz scene, frequently performing at its top venues such as The Iridium, Cornelia Street Cafe, Jazz at Kitano, and The Bar Next Door. As Times Square New York City says, "You can always count on him to happily claim the responsibility of playing some world-class jazz." Abe is a graduate of Berklee College of Music and several years after earned his master’s degree in jazz performance from the highly acclaimed jazz program at New York University, where he was influenced by the likes of Chris Potter, Peter Bernstein and Jean-Michel Pilc. Predominant voices in the industry have recognized Abe's contribution to today's jazz. In 2010, Jeff Levenson of Warner Bros. Records honored Abe as a "Promising Artist of the 21st Century" which lead to an international tour. Since then, Abe has developed a unique identity on the instrument and as a band leader, featuring an innovative and emotionally charged energy that is unrelenting. SomethingElse! Reviews writes, "Abe is not a conventional guitarist by any means. It is clear that he plays by his own rules and he is not out to prove anything to anyone other than to those who have preceded him on the bandstand -- Coltrane, McCoy Tyner, Jimmy Garrison, and Elvin Jones." His music has quickly gained the respect of his peers and jazz veterans alike, such as Grammy-award winning trumpeter, Brian Lynch who said, "It has been very enjoyable to play with him, as well as to perform his original music. He is playing at a world-class level." In 2011, Abe released his debut album titled The Jem featuring a quartet that included pianist Benito Gonzalez. In recent years, Abe has formed a trio that performs regularly in and around New York and the East Coast. The trio is a platform for Abe’s continual music exploration. Each performance includes a deep focus and intensity that is always in service of the music and the exploratory nature of the musicians. Said best by legendary record producer Todd Barkan, "Powerfully lyrical guitarist Abe Ovadia explores the inner and outer frontiers of some the most heartfully expansive music of our age."